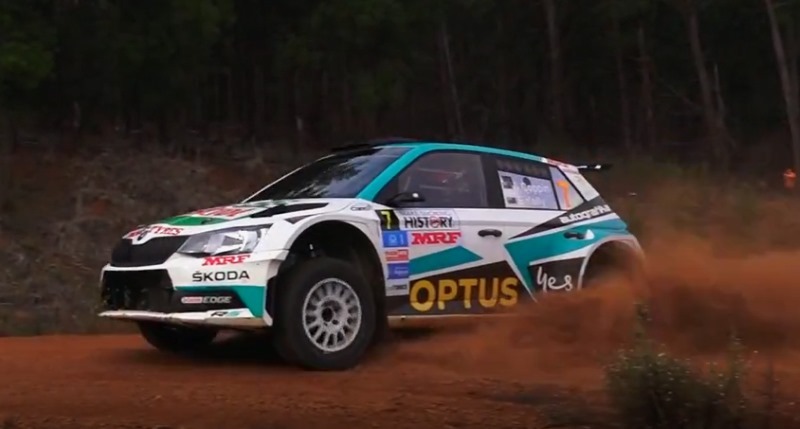 An AP4 rally car is the Australia Pacific region’s answer to the R5 rally car. The rules and basic technical specifications are similar. AP4 rally cars are not FIA homologated and don’t have to be produced by a vehicle manufacturer. 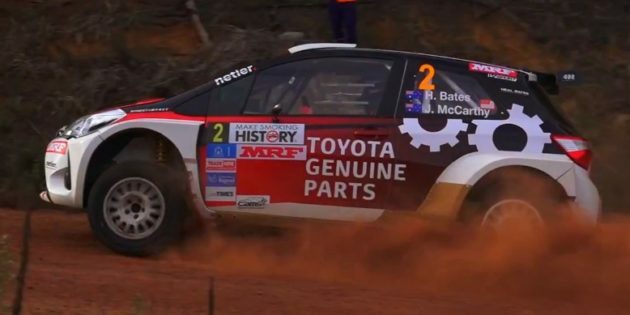 Currently AP4 rally cars are approved for national and Asia-Pacific championships only in Australia. There is a push to allow these cars at state championship rallying as well. To get a sense of what an AP4 rally car actually is, we need to flip back a few pages within the WRC. In the late 90’s World Rally Cars burst onto the scene to replace production based Group A. The category had come about as a way of reducing costs for manufacturers. We first saw the new generation forest weapons in Perth at Rally Australia in 1997. Even though Group A diminished the showroom class known as Group N continued. Many privateers favoured the production based machinery over the very expensive and hard to get world rally cars. Several manufacturers had all wheel drive cars in their road going line up so Group N was fairly healthy. Toward the end of the 00’s the numbers of Group N cars were diminishing both on showroom floors and at WRC events. Subaru and Mitsubishi were the big two and the latter ended production of the Lancer with the Evo X. Group N was becoming a shrinking violet. Whilst there were a few ex-works world rally cars in the hands of privateers, for most the costs and availability were too prohibitive. The FIA needed a new formula and Group R was born. What is an R5 Car? An R5 car is a second tier world rally car without all of the hi-tech. Aimed primarily at the privateer market the R5 cars are less expensive than world rally cars. The FIA keeps a tight reign on the technical regulations and costs. If there’s already R5, why do we need AP4? The price of an R5 car is supposedly capped at 180,000 Euros by the FIA. With current exchange rates that translates to around $285,000 AUD. If you add spares and importation costs there’s probably not much change from $400,000. These costs are beginning to approach world rally car levels. The price was a deterrent so someone came up with an idea. Build R5 spec cars in the Asia-Pacific region rather than import for Europe. AP4 rally cars were born from the concept of; locally built using local parts therefore reduced costs. What makes up an AP4 rally car? AP4 rally cars must be built from a production car that has four seats. Small cars such as the Mazda 2, Toyota Yaris and the Hyundai i20 are the ideal size. The rules allow the body shell to be modified to fit the running gear, wheel arch flares and wings etc. There’s some freedom when it come to the engine however the maximum capacity is 1.6L. Turbo charging is permitted. You can either use the production power plant or an approved alternative. There are a few choices when it comes to the make of turbo. To ensure a custom unit doesn’t find its way into the engine bay the rules are clear. Single turbo only, no variable blades or nozzles and a minimum of 2500 have been manufactured. A compulsory inlet air restrictor must also be fitted and sealed. Safety is paramount in an AP4 rally car so a fully engineered roll cage must be welded into the body shell. The cage, seat mountings and harness anchor points have to be vigorously inspected and approved during construction. It really goes without saying that you need four wheel drive to win rallies. There are a few choices for AP4 cars. Some competitors opt for the French made Sadev drivelines which are the norm in R5 cars. Others may choose to use a Subaru or Mitsubishi transmission. The good news is both H pattern (conventional) and sequential shift gearboxes can be used. With a maximum of six forward gears there’s plenty of choice for ratios. For those who want the total Formula One experience paddle shift is allowed too! Even though road going cars such as the STi and Evo do have a form of active differential, they cannot be used in an AP4 rally car. To help contain costs only mechanical (passive) front, rear and centre differentials are permitted. Most of the parts making up the suspension are controlled. It means that everyone has to run the same parts from the same manufacturer regardless of the make and model of the car. The control parts go as far as mounting points, sub frames, suspension arms and hubs. Only the springs and dampers can be substituted however even they have strict rules. Perhaps one of the most attractive parts of the whole AP4 rally car class is the weight. If you take a current Subaru STi and turn it into a rally car, it will tip the scales at around 1500kg. The minimum weight for AP4 is 1250kg and the cars can usually be built very close to that. Therefore the difference in performance of 250kg is night and day. What is the cost of an AP4 rally car? Initially some people thought $150,000 would be plenty to get one of these machines to the start line. Now figures of around $250,000 are probably closer to the actual cost. You may think that sounds like a big price tag. That however is what it costs to build a front running rally car capable of winning at national level. In reality production based rally cars aren’t really any cheaper. The AP4 rally car class has opened up the playing field. Where once there was only one or two makes, now there are several to choose from. Toyota, Hyundai, Mazda, Mini, Skoda, VW and Holdens have all been built into AP4 machines. Top level rallying in this hemisphere needed a change of direction. New Zealand adopted AP4 earlier than Australia and rallying in the land of the long white cloud is booming. With the AP4 rally car class still in its infancy, surely all this has to be good for the sport.